Swedish illustrator and artist Anneli Olander grew up in a small town, deep in the thickly forested, copper-rich Swedish province of Värmland -- and later found happiness in the poetic and coffee sipping urban jungle of Stockholm. 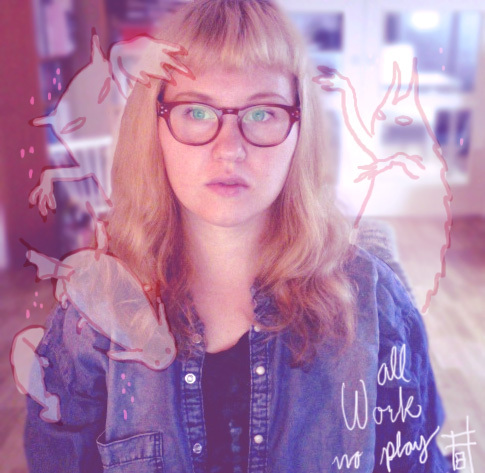 She has been freelancing since January 2007 when, at the age of 26, she started her own company A.Olander Illustration. Her favourite quote is "I didn't make it because I was the best- I made it because I couldn't afford to lose". Be Cool gallery in Rome, Italy (2008), Corey Helford Gallery LA, USA (2008) and Friends of Leon Gallery in Sydney, Australia (2011). More recent ventures have seen her illustrations adorn everything from the iPad skins to iPhone apps, from artisanal chocolates to the pages of ArtNews. Olander’s illustrations combine a lush painterly sensibility with a darkly playful take on girlish fun and the remixing of fantasy with the everyday. "I didnt make it because I was the best- I made it because I couldn't afford to loose"